Team Pirate vs Team Carebear: Fight! I wound up putting together a little frigate brawl. Setting up and prepping for an Event is a lot of work. My initial thought was that I would announce it, people would bring their ships, and explosions would happen. What wound up happening is I announced it, many people needed stuff, and I went shopping to put together frigate packs. Ships, modules, ammo, all of it was packed into cloaky hauler load after cloaky hauler load. I purchased small containers and named everyone's stuff to keep it organized. It was a little learning experience for me in just getting my boys coordinated for the hopeful fun I was putting together for them. But, the start. A few days ago I was approached in -THC2- (our public in game channel) by a guy who said he was the CEO of a small carebear corp and he'd like to get some of his members a taste of PvP in low sec. He had stumbled across my blog and decided to come and see if it was something that we would be interested in/help in. I was flattered that my words had made him comfortable enough to approach me. I ran it by some of the boys who were active and they were all for it. I had him set up in in the system next door and told him that we'd get it together when I got home. Today, we got everything organized. I reached out and tapped my boys that were online to check the general interest level and we got to work. The most interesting problem was that I had too many pirates and not enough carebears. Also, it was a situation of experienced vs non experienced people. The entire point of the event was for people to have fun. My solution was to loan some of the pirates to the carebears. It was a solution that was immediately agreed upon and we lent team Carebear three pirates to create a nice 7v7 battle. I made an event channel named 'Pirates vs Carebears' which led to much amusement. Both sides owned their team name and started cheering for themselves. Rules: T1 frigs (no faction/navy/pirate/shiny) and no podding. I didn't want to make a laundry list of rules. I didn't want to gimp anyone. Yes, Team Pirate would have an advantage but that is also reality and an important lesson in and among itself. By gimping Team Pirate an unrealistic expectation might be created. With the teams evened up and a few last minute players slotted into one team or the other we were ready to go for the first match. I selected planet five for the warp in. I warped in at 100k and did the countdown. Everyone else warped in at 0 and slammed head first into the customs office. Whoops. Much amusement happened as people fought around the customs office and chased each other while getting stuck on the structure as people started to blow up. It seems that Beck had killed and podded Coiled earlier in the day. Coiled called him as primary. I was on TEXN coms but not a member of either fleet. End result: Good Piloting practice for everyone involved. Only a handful of people were left on the field. Everyone went to cool off their GCC and reship. Once that was done the sun was decided on for the next match. I went in, got off the warp ins, got the teams set, did the count down and let them at it. Everyone said they had fun. The no podding rule allowed Team Carebear to stay on field and watch after they went down. Having half of their team composed of pirates gave them guidance. While Team Pirate won both matches it was not just a ROFL stomp on the carebears. They were able to fight and the battles themselves took a few minutes, allowing people plenty of opportunity to get in there. The end experience looked to be pretty positive for Team Carebear. My boys were incredible sports and enjoyed shooting at each other as much as the new parties. Why not just ROFL Stomp them? We are a small gang PvP alliance. We love going out and trying to kill whomever we find. However, organized events, 1v1s and et al are still a lot of fun. 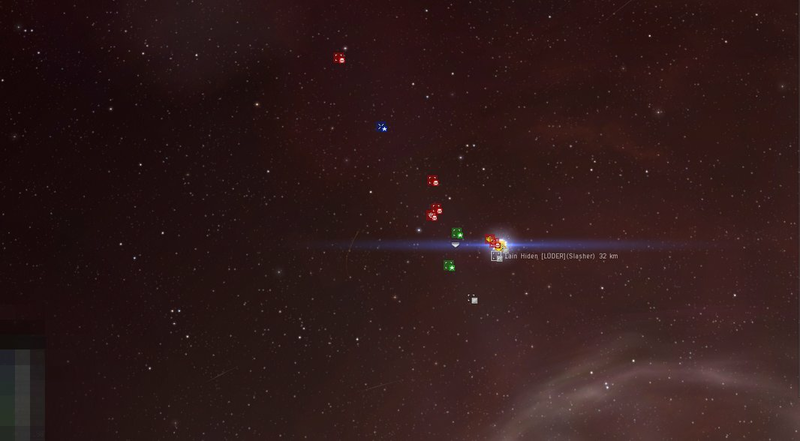 By not being all 'yarr roar' but reaching out and helping some more players in Eve discovered that PvP doesn't have to be terrible they discovered that PvP is more then just them dying to some massive shiny thing before they know what happened. They learned that they can jump 10 jumps into low sec and not instapop. They learned that the people who PvP are not always (but sometimes) terrible. And everyone had fun. The boys did a Q&A with them on their coms. I think that everyone left with a positive experience and the carebears got a few kills under their belt as well as a taste of GCC. I, the event coordinator, am worn out. But, I am pleased that the cardinal rule of Eve was followed. Tonight, we made our own game and enjoyed the hell out of it. Kudos to you Sugar Kyle! It's too bad that not more experenced Pirate PVPers would reach out to carebears and teach them the basics of PVP. 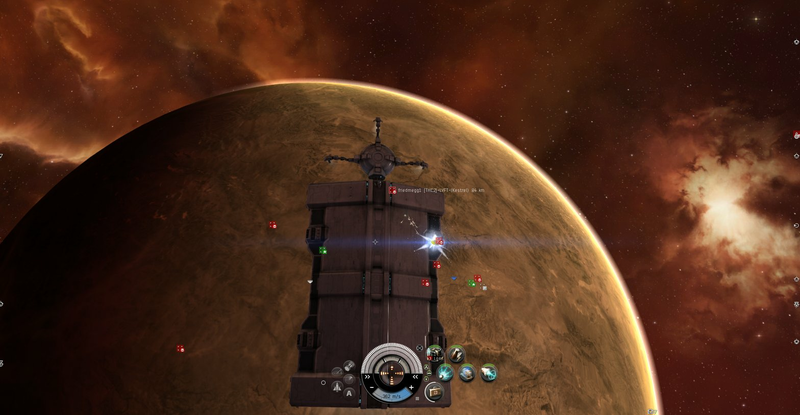 I was fortunate enough to meet a Pirate when I started 4 years ago and that chance incounter changed my opinion of Eve forever. Great post! It's my experience that it's not an uncommon thing for pirates to offer meaningful advice to their prey after the fact, if the person loses their assets with grace and GFs in local. The problem is that so many people do not lose gracefully. Literally just spent 20 minutes showing someone I had just killed how to fit a low-sec Jaguar and to get away from another frigate pilot that does not have a web. If he had been a dbag in local I never would have considered it. We (Team Carebear) killed 3 team pirate first match, then actualy killed 2 team pirate second match. It was great fun and beign the FC on team carebear i have to say the noobs where very receptive and in good spirits and enjoyed the fights. We should definatly do this more in the future. Great stuff. As a noob balancing on the edge of PVE and PVP I love to hear this.